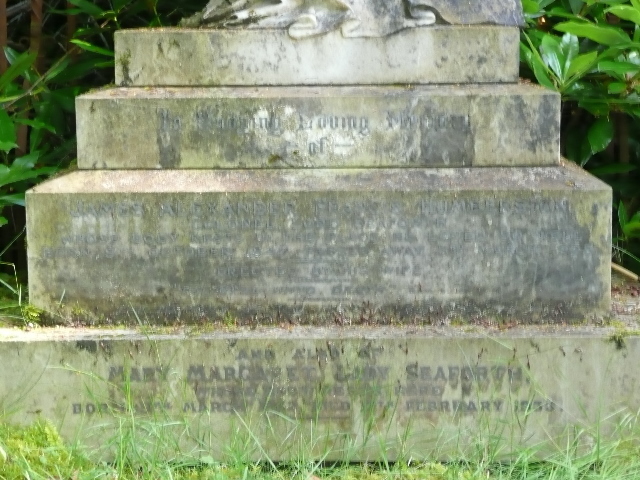 A statue of an angel marking the burial place of the last Lord Seaforth. Noted as a Dog's cemetery on OS 1:10000 map. <1> Robinson, B; Scott, M; Wright, A, 03/2010, Highland Kirkyards: Ross and Cromarty (Collection/Project Archive). SHG25133. 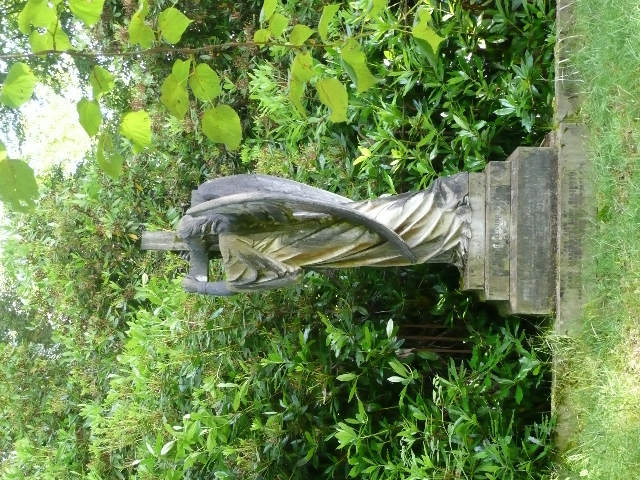 <2> Highlands Buildings Preservation Trust, 2009, Photographs of Ross and Cromarty Kirkyards (Image/Photograph(s)). SHG25134. <3> Marshall, M, 01/2005, Archaeological record of a circular feature within the gardens of the former Brahan Castle, Ross-shire (Text/Manuscript). SHG25448. <1> Collection/Project Archive: Robinson, B; Scott, M; Wright, A. 03/2010. Highland Kirkyards: Ross and Cromarty. Highland Buildings Preservation Trust. 29/07/2010. Paper (Original). <2> Image/Photograph(s): Highlands Buildings Preservation Trust. 2009. Photographs of Ross and Cromarty Kirkyards. Colour. . Digital. <3> Text/Manuscript: Marshall, M. 01/2005. Archaeological record of a circular feature within the gardens of the former Brahan Castle, Ross-shire. Yes. Digital.